These white orchids with their gorgeous colored centers are so beautiful to see Maia! What a clean clear shot! 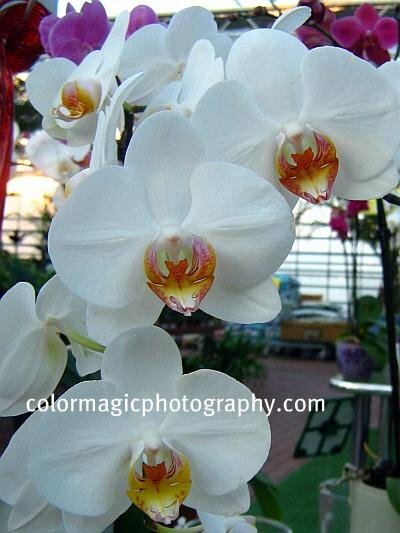 That is a gorgeous orchid, great shots Maia. It shouldn't be a problem, it seems many bloggers are moving to custom domains. Too bad GFC is going away for all those blogs. Great macro shots. 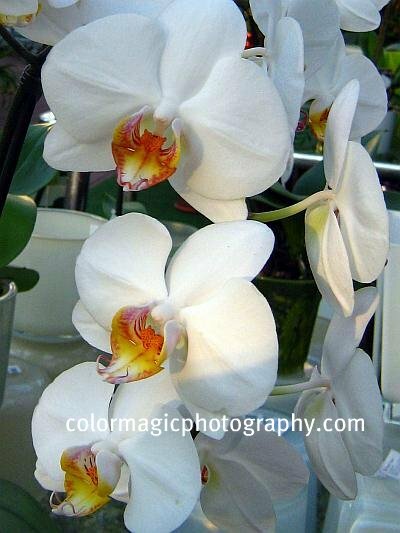 I love white orchids. My 'flower' this week happens to be a fruit, Maia. I missed photographing the flowers, as I didn't know my vine was blooming. So I hope these grapes can be a replacement. I should have written it out. From what I have heard Google Friend Connect is going away early next year for blogs that are not on Blogger. I guess the only way to follow will be through subscriptions. Now I check, I can post comments again, don't know what happened yesterday. My mu died 23 years ago, my dad 5, whenever I see your white orchid, I think of them. When they were growing this in the 60s, the plants have come from the jungles of Borneo. It was very hard to raise them to flower. Now, you see them every where. Que as flores perfumem o caminhos de todos neste final de ano!